Officially named ALH-77005, the Martian meteorite was found in the Allan Hills on Antarctica during the mission of the Japanese National Institute of Polar Research between 1977 and 1978. 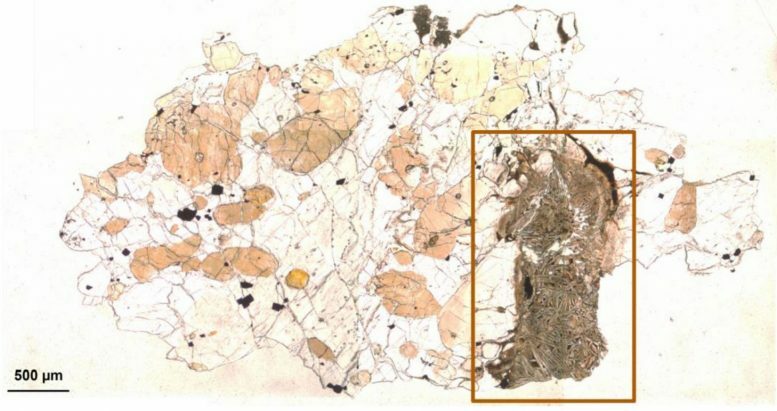 The new study “Mineralized biosignatures in ALH-77005 Shergottite – Clues to Martian Life?” published in De Gruyter’s journal Open Astronomy, by authors Ildiko Gyollai, Márta Polgári and Szaniszló Bérczi proposes the presence of active bacteria on Mars. Their research also suggests that there may have been life on other planets. Be the first to comment on "Clues to Martian Life? Organic Material Discovered in a Martian Meteorite"